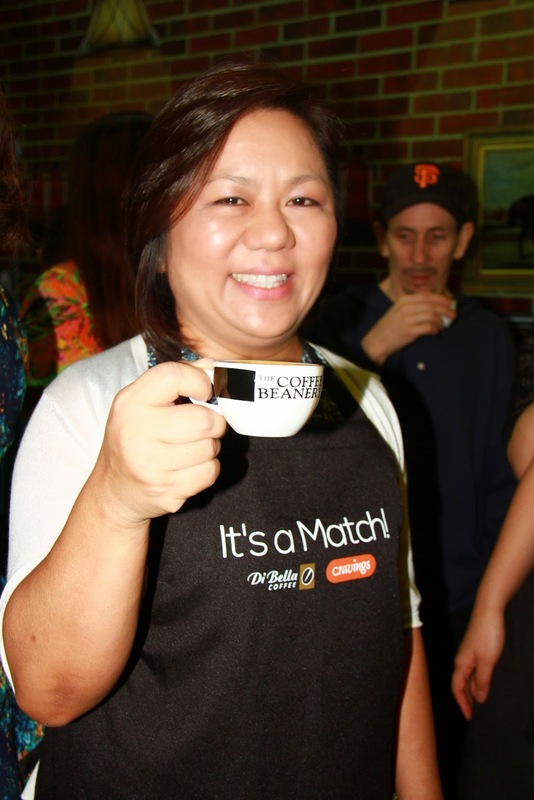 I was invited last October 29 to the coffee and dessert tasting and official launch of the partnership of The Cravings Group with the Di Bella Coffee, Australia's best specialty coffee brand and one of the finest in the world. It will be exclusively available in all Cravings Group restaurant chains: Cravings, Epicurious, Lucia Ristorante, Lombardi's, C2 Classic Cuisine, B&P, The Blackboard by Chef Michel and The Coffee Beanery (TCB) outlets nationwide. “The Cravings Group is proud to partner with Di Bella. Not only do we raise the bar of café concept by presenting customers with new world-class coffee choices; we are also more than happy to create positive impacts to Filipino coffee farmers,” said Marinela G. Trinidad, CEO of The Cravings Group. With this collaboration, Di Bella also brings its "crop to cup" philosophy in the Philippines. Di Bella’s owner, Phillip Di Bella – dubbed as Australia’s "Coffee King" – is a well-known entrepreneur and philanthropist who has raised the standards followed by coffee farmers and Australia’s coffee industry in general. His extensive experience, combined with community-building vision, makes him one of the most successful and deeply admired influential personalities in today’s international coffee making industry. Di Bella will be supporting The Cravings Group in educating and training local farmers with ethical, sustainable coffee bean-growing practices. As the pioneer of brewing coffee and among the first cafés to introduce latte art in the Philippines, The Coffee Beanery’s more than a decade of leadership and craft perfection in the premium coffee segment is fortified anew with TCG’s landmark partnership with Di Bella --- elevating its category as a café destination for top-class, international coffee blends. Be among the first to enjoy premium cups of Di Bella Coffee at all The Coffee Beanery and Cravings outlets including Epicurious, Wicked, Lombardi’s and The Blackboard. Thanks to The Cravings Group for having us.